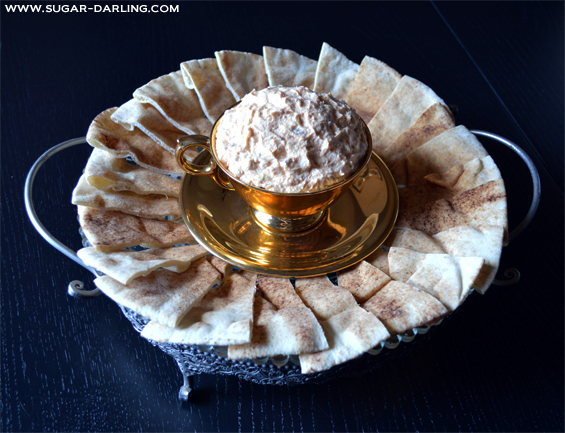 Recipe - Liptauer or Spiced Cream Cheese Dip - Sugar, Darling? I have my Dad and my excellent cookery book choosing skills (ha!) to thank for this one! 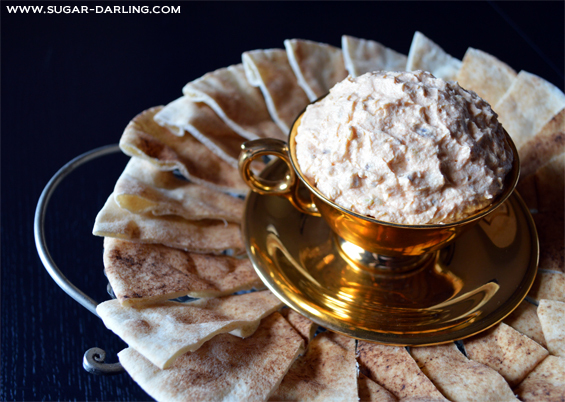 Liptauer is a spiced creamy dip made from soft cheese and butter mixed with lots of different spices. It originates from Slovakia but different countries around Europe all have their own variations. This is an Italian variant with a few of my own twists and was in this book that I gave my Dad for Fathers Day. I've never had a dip like this one before it's quite unusual but even so would work really well on a platter with the usual suspects houmus, taramasalata tzatziki etc. We've always had it with pitta breads before but this we tried some khobez flat breads which were just lovely when sprinkled with a little water, wrapped in foil and heated up in the oven for five minutes. It would be equally great with crisps, crackers, veggie sticks or other breads so give it a go with any thing you fancy! Don't let the anchovies put you off, it doesn't give it a fishy taste as such just a lovely savoury saltiness that you need against the creaminess of the ricotta and butter. Makes a pretty large bowl full - more than I could fit piled into a large teacup! I made my dip in my Kitchenaid mixer, but you could easily do it with either a handheld mixer or a wooden spoon! Whip the butter until it is very soft and creamy, then mix well with the ricotta until thoroughly combined. 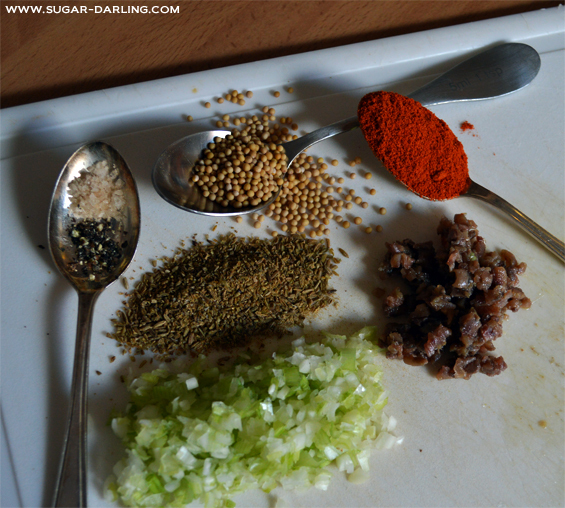 Now add your spices, anchovies and spring onions and mixed again, then adding the lemon juice and seasoning to taste when nicely blended. Pop in a fancy dish or tea cup and serve with whatever you wish!